Rough Turn Cycle offers a ‘Ramp’ strategy. 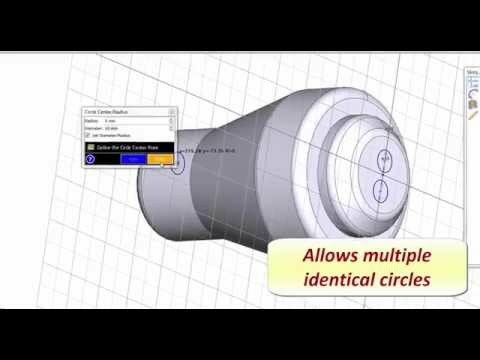 This method is typically used for machining deep recesses with double sided turning inserts. Tool life is extended as the contact point on the insert is constantly changed, thus avoiding the possibility of notching. Similar to Parasolid, Inventor and Granite files, customers will now observe noticeable performance improvements when working with ACIS models. 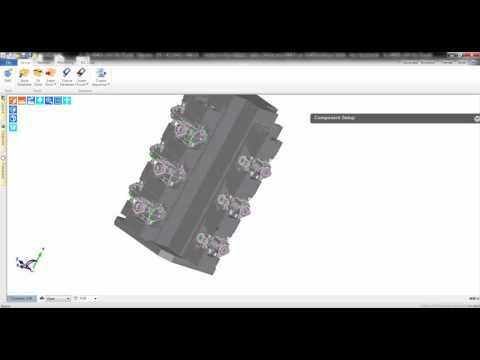 Roughing, Profiling Turning & 4/5 Axis commands have been enhanced as well as one, brand new Operation has been added – Chamfering. 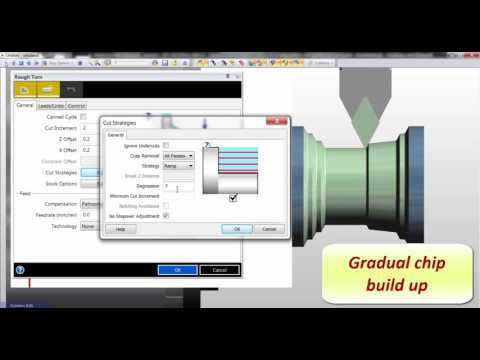 Roughing Operation is now Stock aware and, adopts the Waveform toolpath strategy. Both the Roughing & Profiling Operations now use check-fixture technology. During the creation of Hole features, users may now state a “Partial Hole Angle”. 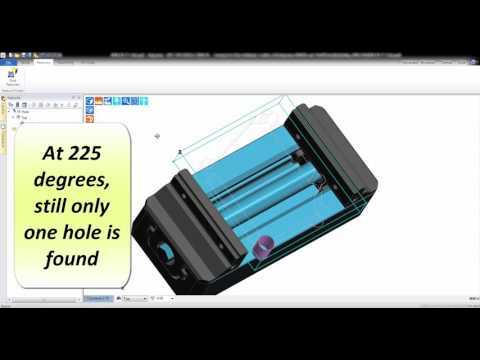 The value will control which hole features can be detected & eventually machined. Five CAM cycles have been upgraded to use images and help tooltips. Not only does this allow new or in-experienced users to quickly understand the command function but also presents a consistent user interface . 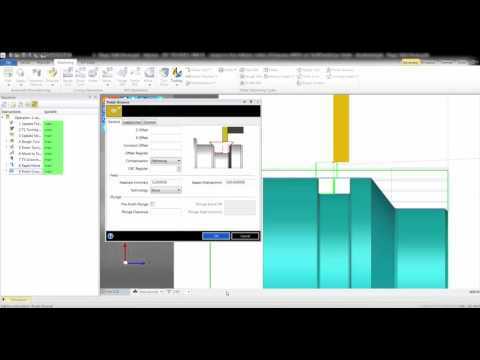 ‘Pre-Finish Plunge’ option has been added to the Finishing Grooving cycle. A single plunge cut is generated at the centre of a groove feature thus removing the bulk of the material .The cycle then continues to finish the feature in the usual manner. 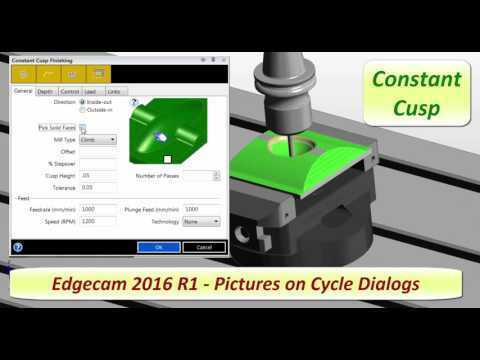 Edgecam Workflow Solids now offers 2D Offset Tool. Common shapes & profiles are quickly duplicated and copied by an offset amount. 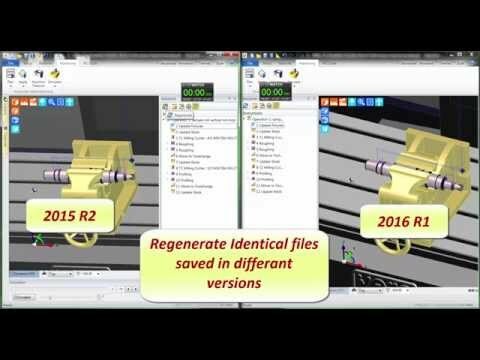 2016 R1 now makes the edit dimension immediately available. 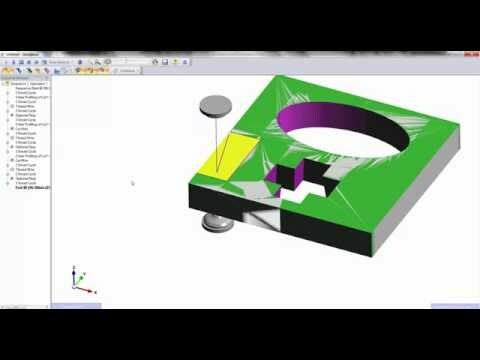 Arc command enhanced with ‘Set Diameter/Radius’ option. 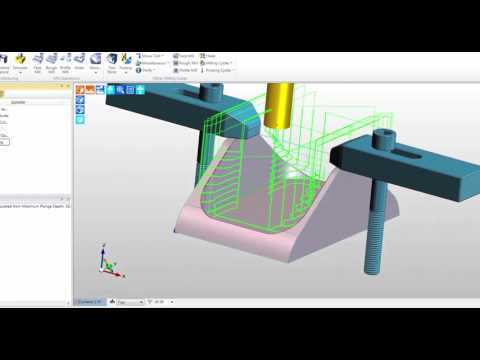 ‘Test for Separation’ is offered BY Machine Simulator whereby a user can examine if slugs of material can become detached from the main stock body. 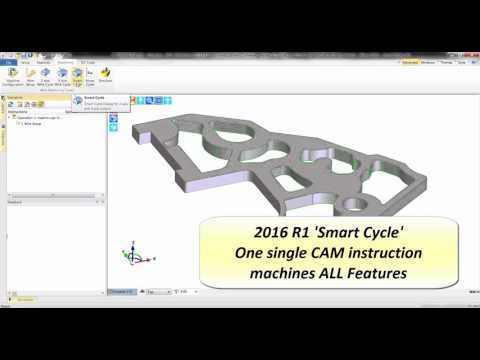 ‘Smart Cycle’ combines 2-axis & 4-axis wire machining into one function as it possess the intelligence to analyse the input geometry shape.